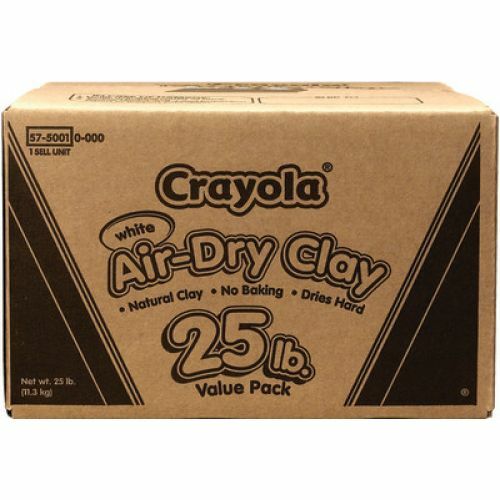 Great for school projects and art rooms without a ceramic studio or kiln. Easy-to-use white clay for sculpting and modeling solid, durable forms. No oven or kiln firing necessary. Quickly cleans from hands and most surfaces. Can be painted with tempera, acrylic or watercolors when dry. AP certified non-toxic. Additional shipping charges apply.